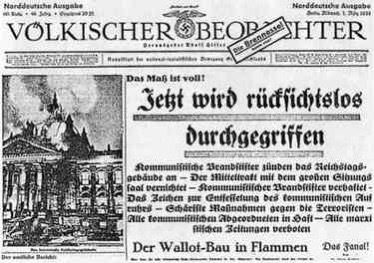 Yesterday I wrote about the Reichstag Fire and the resultant Order of the President of the Reich for the Protection of People and State or as it is more often known as the Reichstag Fire Decree. I wrote about how perilously close that I really believe that we are to a Reichstag Fire moment in our country today. That has not changed. In fact the President declared a National Emergency over an imaginary crisis at the U.S. – Mexican border, an act that he said that he did not have to proclaim as he made the declaration. On February 27th 1933 Adolf Hitler and his Nazi Party which was still a minority party in a coalition government of partners that wouldn’t have minded his failure, became recipients of of a political gift that allowed them to seize power under the very provisions of the Republic and Constitution that they despised. A Dutch Communist The very next day Hitler with the backing of President Paul von Hindenburg issued a decree under Article 48 of the Weimar Constitution which though directed at the German Communist Party, which was banned along with its publications, applied to every political party in Germany. Barely three weeks later the Reichstag, now emptied of Communists deputies gave its approval to the Enabling Act which gave the central government. Their abdication Of their Constitutional role allowed Hitler to enact laws without the approval of the Reichstag, effectively ending any sort of parliamentary democracy and eviscerating the constitution. The other political parties in Germany, including the conservative parties and center parties who had allied themselves with Hitler voted to dissolve themselves by the end of July 1933. None of the conservative opposition wanted to face the wrath of Hitler or his newly established extrajudicial Concentration Camps which were not run by the Ministry of Justice, but the Nazi Party. In Germany it was the burning of the Reichstag but in any crisis the same could happen here. I think this is very possible with President Trump and a compliant Republican Party which has surrendered any sense of responsibility, including the defense of things that it fought against for years in order to maintain power by supporting a man that just two years ago most mocked and opposed; so much like the non-Nazi German conservatives and Hitler. That was demonstrated today as Michael Cohen, the President’s former lawyer and “fixer” testified before Congress. His testimony was compelling, credible, and backed up by documentary evidence, including documents signed by the President signed after he took office. All the Republicans could do was attack the messenger, they never challenged a single fact. Now let’s think about today and lets let our minds wander into possibilities that are much more likely than they would have been a few years ago. So let’s take a journey to a future where most of us would not want to go. I mean really, I don’t want these things to happen, if not for any other reasons than things than effect me. I want to attend my 40th high school reunion on September 1st and a trip to Germany to the Oktoberfest and to visit our German friends later that month. So some things are about me, I mean if were going to lose all of our freedoms I want to get a few bucket list items in, but I digress, let’s go back to the unimaginable. 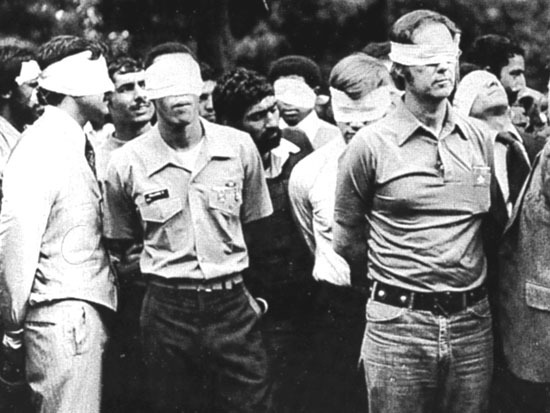 This has now become the norm of the Republican Party, which if I need to remind you I served and believed from the time that I volunteered for Gerald Ford’s campaign before I could vote in 1976 until I left the party following my return from Iraq in 2008. I stopped defending the indefensible eleven years ago. I would say close your eyes but then you wouldn’t be able to read unless you have some sort of software that turns my written words into spoken words, or unless you want me to start a podcast. If you want the latter make it worth it by doing something to get me a few extra bucks for more beer before everything goes to hell. Let us imagine that following increased tensions in Venezuela that a real or alleged terrorist group claiming to support the Venezuelan dictator Maduro attacks the NY Subway and the Washington Metro subway systems with Sarin and phosgene nerve gas. Another alleged Venezuelan terrorist shoots down an American Airlines Airbus 330 with a SAM 7 as it attempted to land In Philadelphia. 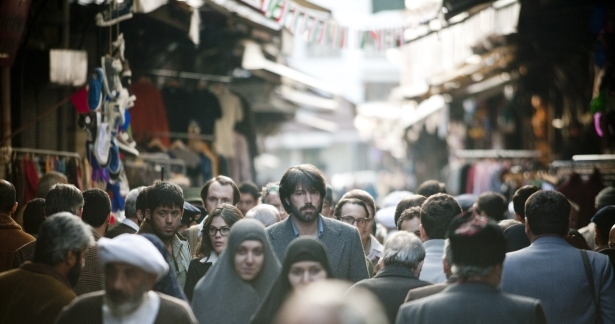 In the attacks, thousands of people die. In another attack a heavily armed terrorist group attacks the Mall of American with assault rifles, RPGs, and grenades. Between Miami and the Bahamas an explosion rocks a Disney Cruise Ship, killing many passengers and crew and leaving it disabled and requiring Coast Guard and U.S. Navy assistance to save the ship and bring her back to port. While Federal, State and local law enforcement investigate at the points of attack, the FBI, CIA and NSA attempted to ascertain if and what foreign power or terrorist groups were behind the attacks. Venezuela was at the top of the list, but Iran, Hezbollah, North Korea, and even Russia were suspects, but it took time to find the culprits. In the mean time the country went into a panic. Retribution was the watchword. Thousands of people were killed and injured in the attacks. Following them the subways, airports and maritime ports shut down. The economy went into shock. Prices soared and Wall Street crashed, dumping some 30% of its value in three days. Prices for imported goods skyrocketed, and all commercial air traffic was grounded leaving millions of people stranded. It didn’t matter that the President’s Fixer Michael Cohen had implicated the President in high crimes and misdemeanors, just a week before, emotion, hatred and the desire for revenge ruled the day. Trump understood that better than most. In response the President invoked measures from National Security Presidential Directive NSPD 51/Homeland Security Presidential Directive HSPD-20 of 4 May 2007, while Congress by a wide margin grants him the authority to pursue the attackers both at home and abroad. Neither the President’s opponents in the GOP or most Democrats object, after all it was about national security and the nation had been attacked; people had died, and the economy was in a major crisis. The President, whose poll numbers were cratering and was coming closer to being implicated in by the Muller investigation uses these new powers to shut down opposition to him, including the Muller investigation in the name of national security, the siren song of all tyrants. Democrats in Congress finally realized that they have been outmaneuvered in the crisis but it was now too late. Their protests about the illegalities and questions needing to be answered go nowhere and they are labeled enemies of the state, as are responsible journalists who seek to uncover the truth. Those protesting the violations of the Constitution are jailed indefinitely without being charged in Federal and State facilities as well as for profit prisons. But the Venezuelan connection to the terrorist attacks was disproven and even though the CIA and FBI put Russia at the center of the attacks, aided by North Korean agents the reports were initially disregarded by the administration. As the investigation lead to the North Koreans, the President, who had spent two years trying to say that the North Koreans were not a threat and holding summits to North Korean dictator Kim Jun Un, rapidly turned on his heal and ordered attacks on North Korea, leading to a nuclear exchange and major land war on the Korean Peninsula. However, during the Cohen hearings today most Congressional Republicans in showed that if push came to shove that they would toss aside the Constitution in order to defend a man they have sold their souls to. Those that might doubt my concerns need only to look at the life and actions of President Trump, the cunning of Russia, North Korea, and the hyper-partisan nature and gullibility of much of the American electorate, and the response of the United States government and populace during past crises and threats to our national existence. That cannot be allowed to happen. If it does, it will harm every American, no-matter what their political beliefs or affiliation is. Tonight it one of those rare occasions when I am getting to watch some television that is not associated with baseball or some old movie that I like. Tonight my favorite new show, Bates Motelwhich is positively creepy and suspenseful is having its season two finale and the classic 24returns as 24 Live Another Day. In this series Jack Bauer (Kiefer Sutherland) comes out of hiding to stop a major terrorist operation as his former ally and now President of the United States James Heller (William Devane) has dispatched the CIA to track Bauer, a wanted fugitive down. Many real issues are already being covered in the show including drone attacks, hacking, terrorism and torture conducted by the “good guys” of the CIA, and a President confronting a diagnosis of some kind of dementia. It promises to be an excellent run as the 24 hours are compressed into 12 episodes. In it a number of familiar characters besides Bauer and Heller return including Chloe O’Brian (Mary Lynn Rajskub) and Bauer’s former flame Audrey Raines (Kim Raver). Chloe is in custody as an Edward Snowden type hacker and Audrey is now married to Heller’s Chief of Staff played by Tate Donovan. Judging from the first hour it portends to be an excelled reprise of the original series with Bauer now on the opposite side of the law but still seeking justice and to protect his country. 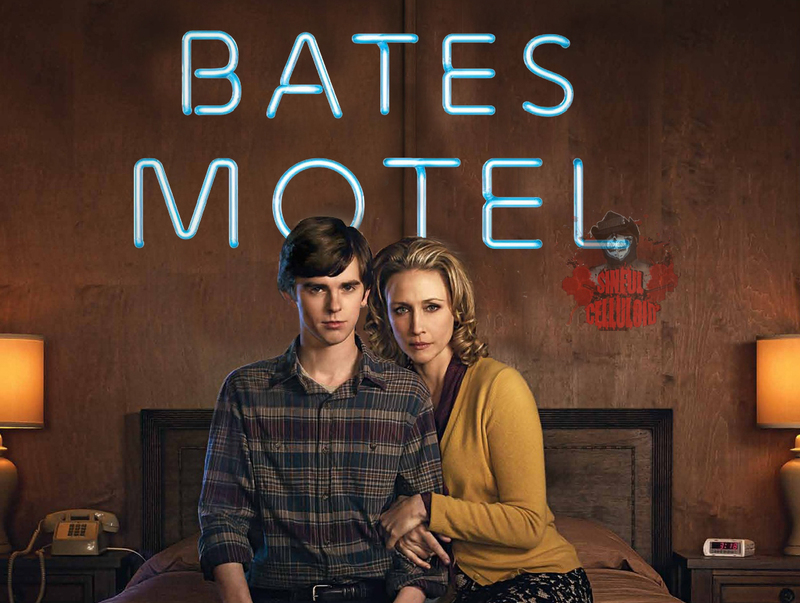 As far as Bates Motelwhat might have been a series finale is now a bridge into a new season. 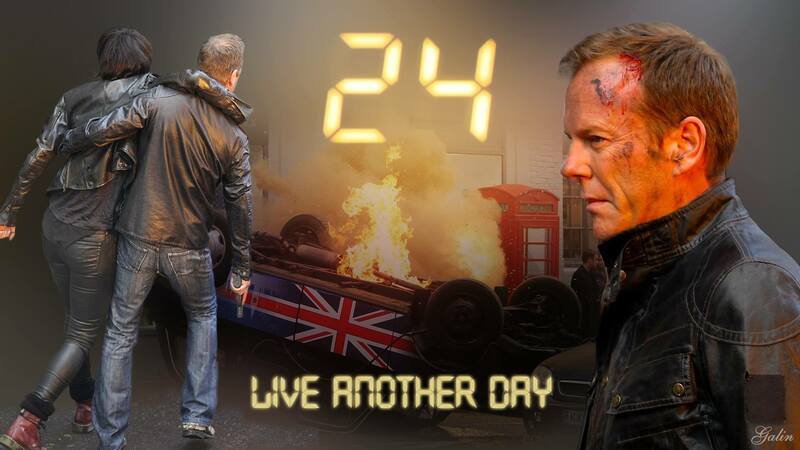 No spoilers here as I am only patiently waiting the season finale because I am watching 24. Since I am pretty tired from my trip to Houston that is all I am going to write about tonight. Expect another Gettysburg article tomorrow unless something trips me up. But tonight I am going to watch some suspenseful and creepy television.